Since I, myself is a Jollibee kid (at least by heart), therefore I would like it to be the very first Fastfood Chain to be featured in this blog. My favorite is of course "Chicken Joy". Here are some information about the largest fastfood chain in the country. Jollibee Foods Corporation is the parent company of Jollibee a fast-food restaurant chain based in the Philippines. Among JFC's popular brands are Jollibee, Chowking, Greenwich, Red Ribbon, and Manong Pepe's. Since its inception, Jollibee has become an increasingly profitable fast-food chain with 686 restaurants in the Philippines and 57 in other countries employing 29,216 workers. Including all its brands, JFC has 1,804 stores worldwide and total sales of more than US$1 billion as of December 2008. In addition to its subsidiaries, JFC was the Philippine franchise holder of Délifrance until late-2010, when both companies severed their ties. All former Délifrance branches now operate as CafeFrance, which is owned and operated by Euro-Med Laboratories Philippines, Inc. In 1975 Tony Tan Caktiong and his family opened a Magnolia Ice Cream parlor in Cubao. Sometime in 1978, Caktiong and his brothers and sisters engaged the services of a management consultant, Manuel C. Lumba. Lumba shifted the business focus from ice cream to burgers, after his studies showed that a much larger market was waiting to be served. Lumba became Caktiong's first business and management mentor. The Jollibee mascot was inspired by local and foreign children's books. Lumba created the product names "Yumburger" and "ChickenJoy". He had the company incorporated and leased a house on Main St. in Cubao, Quezon City as the first headquarters. Lumba formulated a long-term marketing strategy: listing up a number of consumer promotions and traffic building schemes. Caktiong stressed that developing internal strengths was critical. The stores were re-designed, the service transformed into a full self-service, fast-food operation with drive-throughs. Not long after, Caktiong and Lumba went on an observation tour in the United States, attended food service and equipment conventions. Caktiong placed Lumba in charge of franchise development. The company acquired 80% of Greenwich Pizza in 1994, enabling it to penetrate the pizza-pasta segment. From a 50-branch operation,Greenwich has established a strong presence in the food service industry. In early 2006, Jollibee Foods Corp. bought out the remaining shares of its partners in Greenwich Pizza Corp., equivalent to a 20% stake, for P384 million in cash. In 2000, the company acquired Chowking, allowing Jollibee to be part of the Asian quick service restaurant segment. In 2007, Jollibee acquired the Chinese fast-food chain Hongzhuangyuan. Jollibee purchased 70% of Taipei restaurant Lao Dong in June and Chun Shui Tang tea house in 2006. In 2004, Jollibee acquired Chinese fast food chain Yonghe Dawang for $22.5 million. 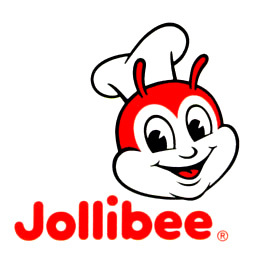 Jollibee entered into a joint-venture contract with US-based Chow Fun Holdings LLC, the developer and owner of Jinja Bar Bistro in New Mexico, in which Jollibee will have a 12% stake for $950,000. On August 26, 2008, Jollibee formally signed a P2.5 billion ($55.5 million) deal with Beijing-based Hong Zhuang Yuan through its wholly owned subsidiary Jollibee Worldwide Pte. Ltd. The sale is subject to the approval of China's Ministry of Commerce. On October 19, 2010, Jollibee acquires 70% share of Mang Inasal, a Filipino food chain specializing in barbecued chicken, for P3 billion ($68.8 million). The same month, Jollibee signed a deal to acquire 55 percent of China's Guanxi San Ping Wang Food and Beverage Management Co. Ltd., operators of the San Pin Wang beef noodle business for 30 million RMB.